I just LOVE this snack. It is great for hiking, picnicking, airplane travel, lunch at work or school, etc. So slice up your favorite veggies. 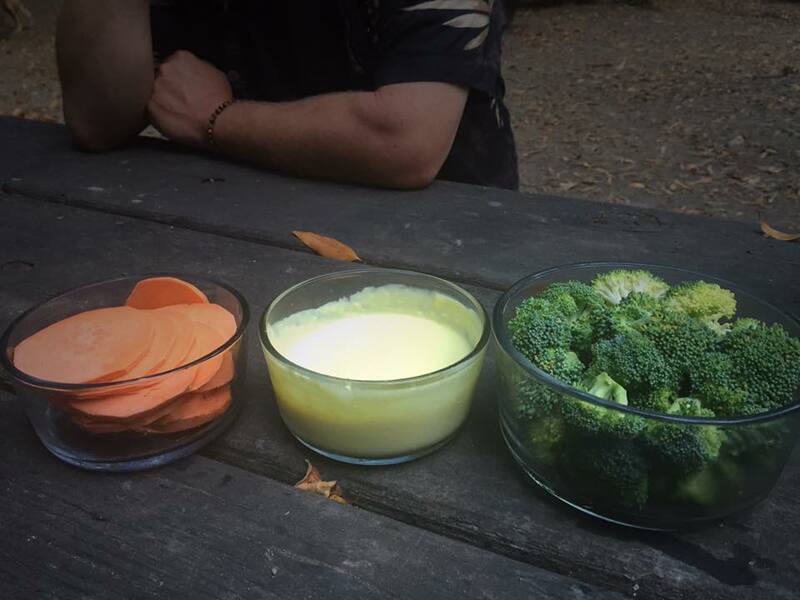 Sliced yams and broccoli are shown above. And bring aioli dip in a freezer bag to keep it cold. Posted by simplycookingrealfood on October 19, 2015 in Appetizer, Side Dish, snack. Thank you for passing on these recipes! You are so welcome Dana! I believe that our choice of diet has a profound impact on our health, physically, emotionally, and spiritually. If I can share some recipes that may help to in empower others to take control of their diet and therefore a major aspect of their health, then it is all worth it! !